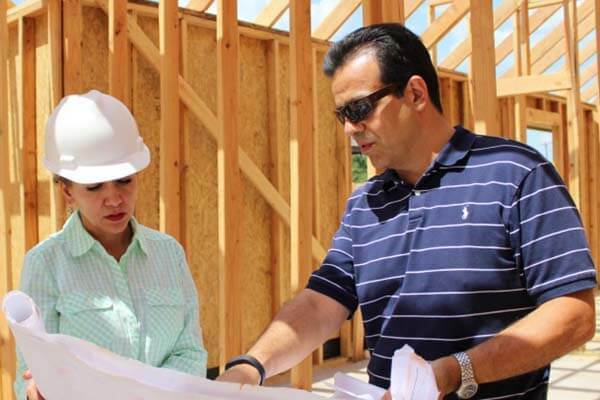 Our vision is to delight our customers, enabling us to be the most recognized and respected home builder in the nation. We never overcharge you for upgrades or changes. We deliver, we promise! You can take our word to the bank. We invest time and attention to detail into your design and color selections. We never cut corners on materials or workmanship, even on what you don’t see. We offer a one-year limited building warranty on materials and workmanship. Jesse Smith says that their home’s personal touches are what make 1st Oklahoma Construction an excellent builder. He and his wife love the location, layout, and modern style of their home. Lexie Garrison says 1st Oklahoma Construction is a great option because we construct on time and on budget. Not only is her home now more functional and easier to entertain family and friends, but she has also noticed a great return investments when her utility bills hardly changed after she doubled the size of her home. Randa recommends 1st Oklahoma Construction to anyone looking to buy a home because she received a great deal. She enjoyed working with a builder who listens to her, and she is excited to have a beautiful space for her family to grow. Heather and Matt enjoyed developing a working relationship and even a friendship through honesty and great communication with 1st Oklahoma Construction. Matt says that they have enjoyed the value, functionality, open floor plan and finished of their home so much and it has been such a great investment for them that they are in a position to build another home with 1st Oklahoma Construction. Rose Mary Howard is proud of her location and quality of her home. She is impressed with 1st Oklahoma Construction’s customer service and says that she considered the team friends of her now. Eldon and Juanita’s favorite part of their home is now their kitchen thanks to the extension and the rock work. They were surprised at how easy it was to work with 1st Oklahoma Construction and at how friendly the team is. After a tragic fire, Steve and Judy Reeves turned to 1st Oklahoma Construction to build their new home. They love their new home because of the careful details, the use of space, and the apparent pride we put into building the home, and even through their new house is more square footage, their utility bills are significantly lower per month. Dave and Betty Klingeman had high expectations for their next house when they were moving from Florida to Oklahoma. After virtually taking a tour of a home they liked, they eventually visited and decided that their house fit all their needs. 1st Oklahoma Homes assisted Dave and Betty in their relocation by showing their commitment to quality, workmanship, and professionalism while welcoming them to their new home. Whether you are looking to purchase a new home or you are simply curious about the communities we work in, 1st Oklahoma Homes is more than happy to assist you with any of your questions. We always work to provide an honest, friendly approach to our relationship with our customers to help make their dream home a reality.